Both details are subject to change as the movie, focusing on Superman’s cousin, is still in early development. AceShowbiz – While Warner Bros. has not greenlit a new Superman movie, the studio has reportedly shifted its focus on a “Supergirl” movie. Now new updates on the project have emerged, revealing the possible main villain and the setting. Brainiac is one of Superman’s deadliest enemes in DC Comics lore. He is typically depicted at an extraterrestrial cyborg or android with “twelfth-level intellect,” which allows calculation abilities, enhanced memory and advanced understanding of mechanical engineering, bio-engineering and physics among other super powers. In late August, it was reported that Reed Morano (“The Handmaid’s Tale”) was a frontrunner to helm the big-screen adaption of the DC Comics’ character. “22 Jump Street” screenwriter Oren Uziel has been tapped to pen the script. 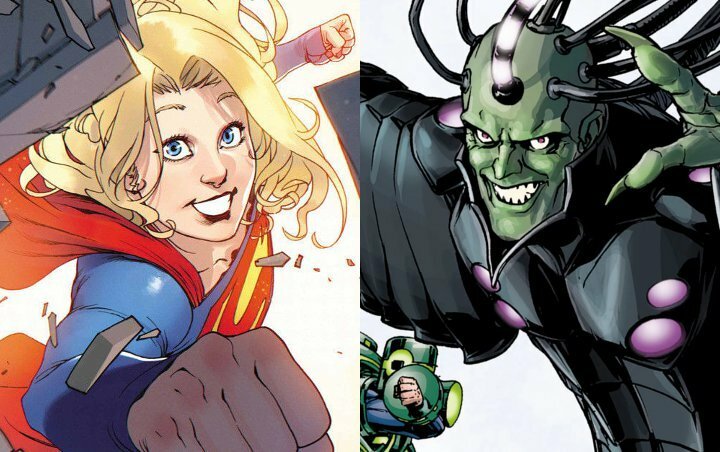 Warner Bros. has reportedly been focusing on a “Supergirl” movie after Walter Hamada was promoted to oversee its comic book movies, replacing Jon Berg and Geoff Johns as the heads of the DC movies, following the lackluster “Justice League”. Supergirl a.k.a. Kara Zor-El is Superman’s cousin, who was born and raised in Argo City, a fragment of Krypton that survived destruction. When the town is doomed, Kara is sent to Earth by her parents to be raised by her cousin Kal-El a.k.a. Superman. Supergirl adopted the secret identity of orphan Linda Lee and made Midvale Orphanage her home. As Superman’s cousin, Kara shares his super powers and vulnerability to Kryptonite. Melissa Benoist has played Supergirl on the TV series.